Tigers erase 8-point deficit heading into fourth quarter. Cony's Taylor Heath grabs the ball after the tipoff to start a game against Gardiner on Thursday in Gardiner. The ball was floating toward the rim, and Connor McGuire realized it wasn’t going into the basket. 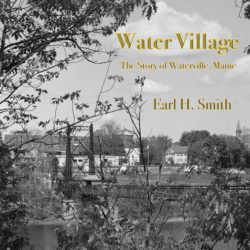 Once his fears were confirmed, with the ball bouncing harmlessly off the rim, the Gardiner center let the hours he’s spent under and around the basket take over from there. 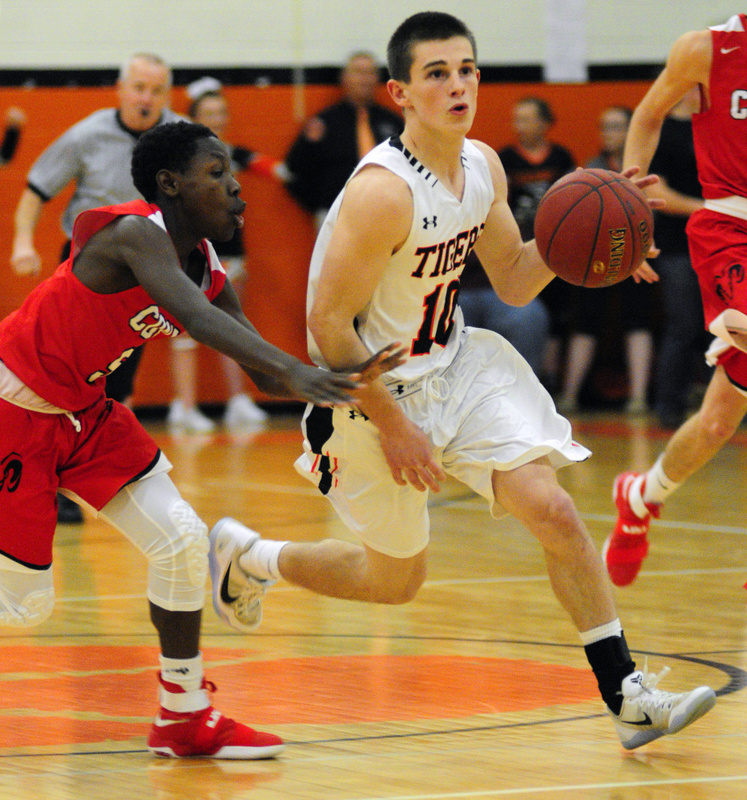 McGuire grabbed the rebound of a potential game-deciding free throw and banked it in with 4 seconds remaining, lifting the Tigers to a stunning 82-80 victory over Cony on their home court Thursday night. McGuire scored 25 points, none bigger than the two that completed a Gardiner rally after the Tigers (2-1) trailed by eight points going into the fourth quarter. Gardiner appeared doomed after a missed layup in traffic with under 20 seconds to go and Cony up 80-79, but Kyle Johnson’s defense forced a turnover and a foul with 6.6 ticks to go. Johnson’s first free throw was pure, but his second was off line. 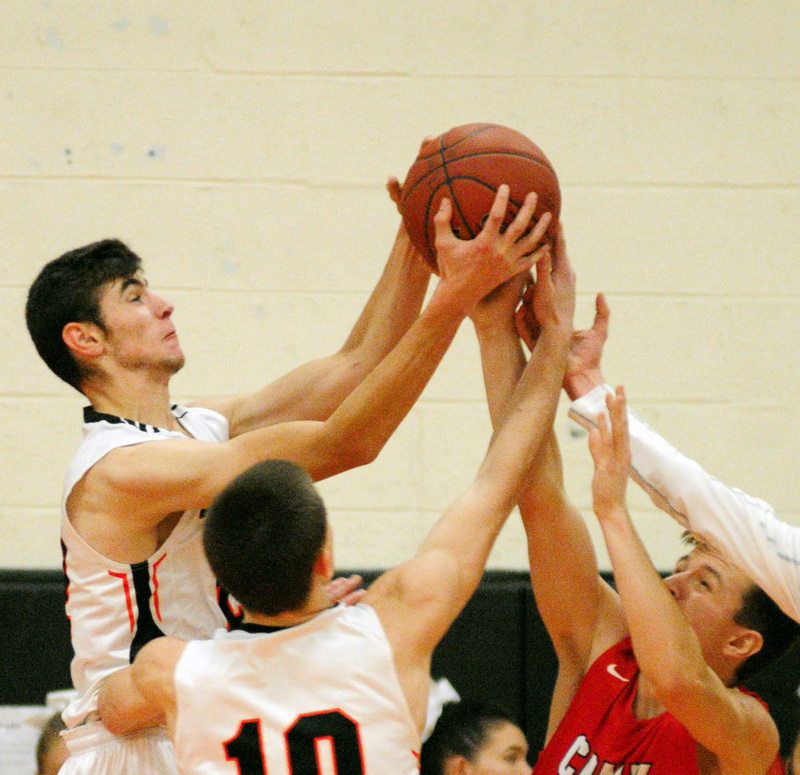 McGuire broke quickly — at 6-foot-4, he was the tallest player on the floor — and beat the Cony defense to the ball, hesitating for an instant before putting it back up and in for the go-ahead basket. 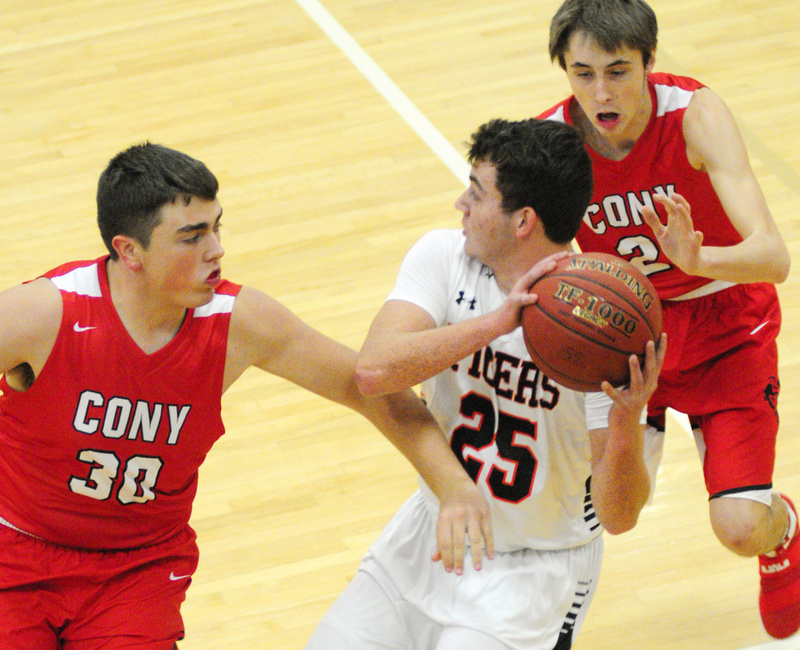 Those last seconds almost flipped the script, as Cony’s Jordan Roddy got a good look at a 3-pointer as time expired but saw the shot end up just short. The ball hadn’t even landed when jubilant Gardiner fans, reawakened during the Tigers’ charge, stormed the court to join the celebrating players. 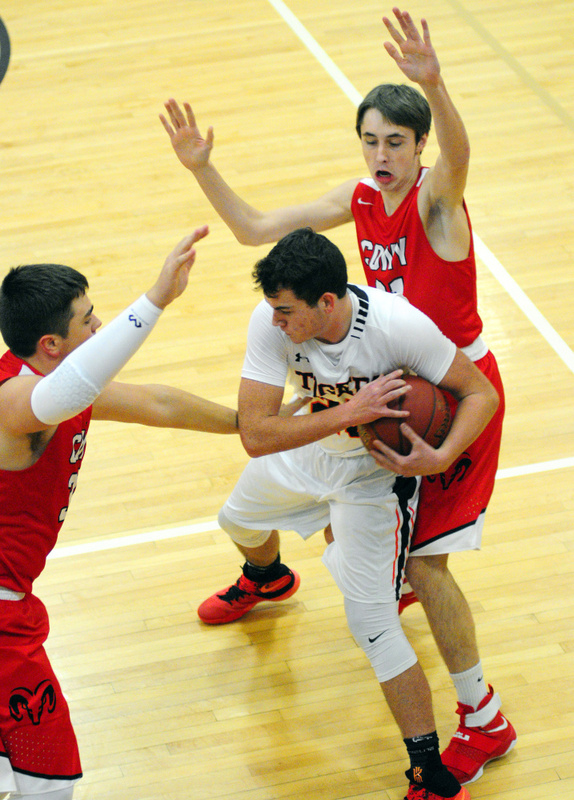 Gardiner shot well all night — 56 percent from the field — but was flummoxed by Cony’s frantic pace, which featured a heavy amount of 3-pointers and full-court pressure nearly throughout the game. With Roddy burning the Tigers for 30 points, including 22 in the first half alone, the Rams (2-1) took a 43-35 lead at halftime and stretched the margin to 62-54 by the end of the third. 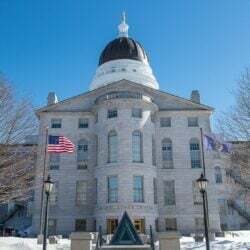 A technical foul 18 seconds in the fourth on a Gardiner shot attempt changed the flow of the game, however, as an ensuing foul meant the Tigers got six unanswered free throws in the span of four seconds. They hit five of them, turning the game from a potential runaway into a one-possession contest at 62-59. 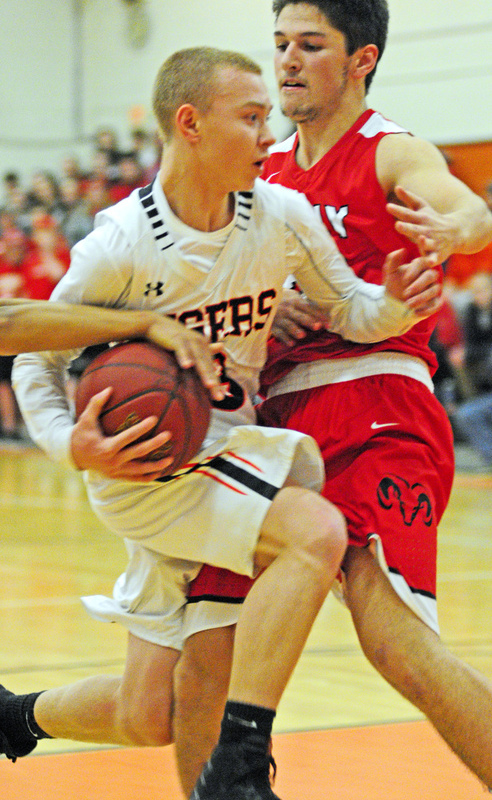 The Tigers took advantage of the opportunity, closing the gap and taking their first lead since the opening basket at 64-62 on a 3-pointer by Hunter Chasse (12 points, nine in the fourth) with 6:32 to go. The teams traded leads before Gardiner built the advantage to 79-74 with 1:49 left, but Jake Dacus (nine points) hit a three, Roddy beat a double team for a driving layup and Austin Parlin (15 points) hit a free throw with 27 seconds left to give Cony the lead back at 80-79. Unfortunately for the Rams, the Tigers had another chance. And then they created yet another. McGuire led the way for Gardiner on the scoresheet, but the Tigers had contributions from throughout the roster. Isaiah Magee had 11 points while leading Gardiner’s transition game and disrupting Cony’s outlet passes. 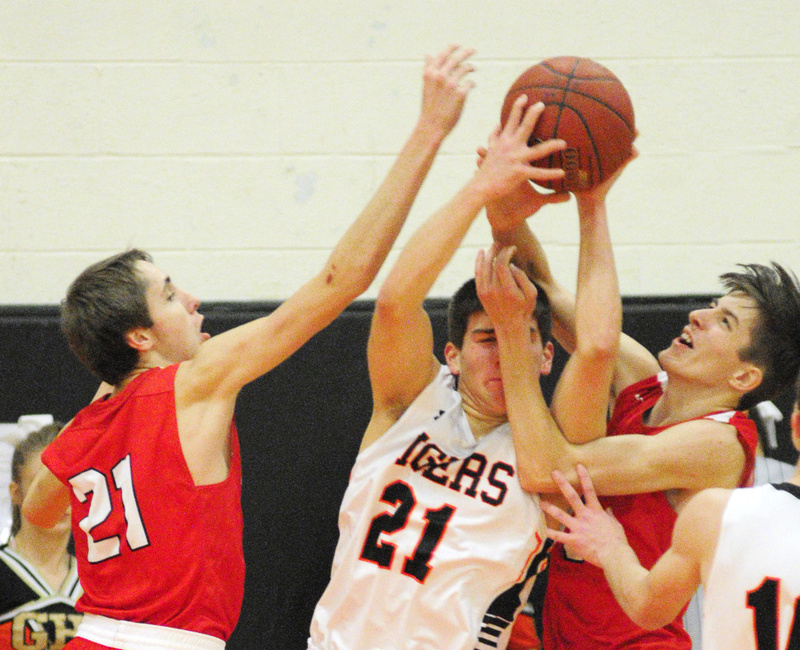 Collin Foye scored 12 points and went 6-for-8 from the free-throw line. Johnson finished with 10 points, scoring five points in the fourth quarter and nine in the second half. 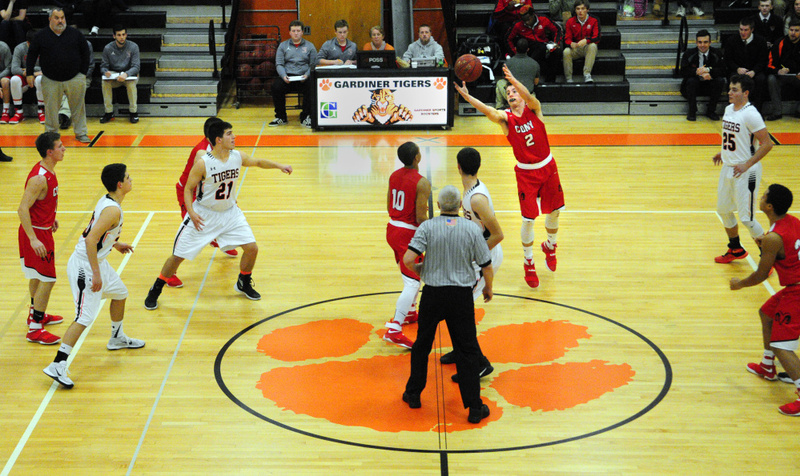 Gardiner padded its shot percentage with fast-break layups and attacks in transition, a testament to the Tigers’ ability to find open players and distribute on the move. And still, without one crucial shot or two, it wouldn’t have been enough, which was the takeaway Maines focused on after the Rams fell one or two shots shy of holding off their first loss.